﻿Red Bean Ice Cream is one of my go-to Asian Ice Cream flavors. 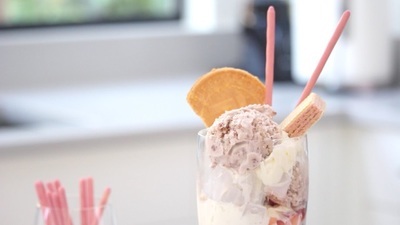 Made with real Adzuki sweetened red bean paste, this ice cream makes for a great Ice Cream Parfait, complete with Pink Strawberry Pocky sticks. 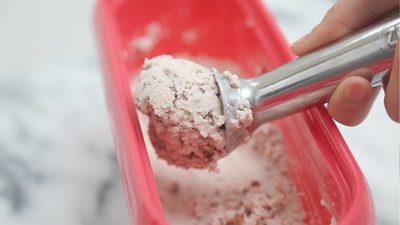 This recipe and technique uses whipped coconut milk/cream so there's no need for an ice cream maker (hence the no-churn). 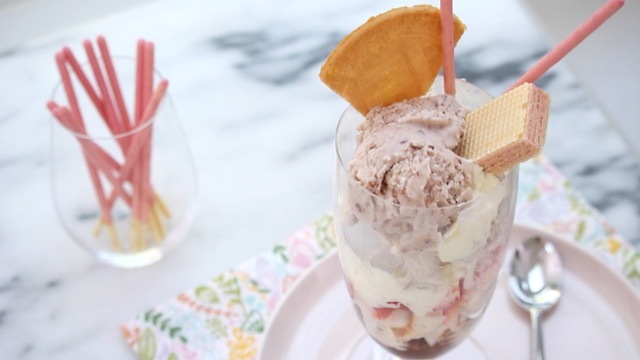 Even though you don't need an ice cream maker, the resulting texture and taste is just like regular ice cream. It couldn't be easier! ​(A) Be selective when purchasing your coconut milk. Check the product labels and look for the percentage fat content. I recommend finding one with at least 25% fat as you will need this to make whipped cream. 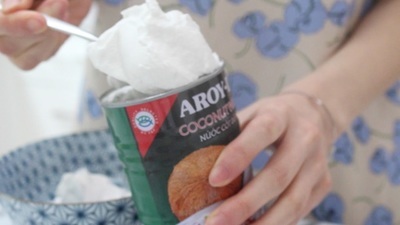 This brand of Coconut Milk from AROY-D worked well for me. Keep it chilled in the refrigerator before using and when you take it out to shake, it should be fairly solid (thanks to the fat content). 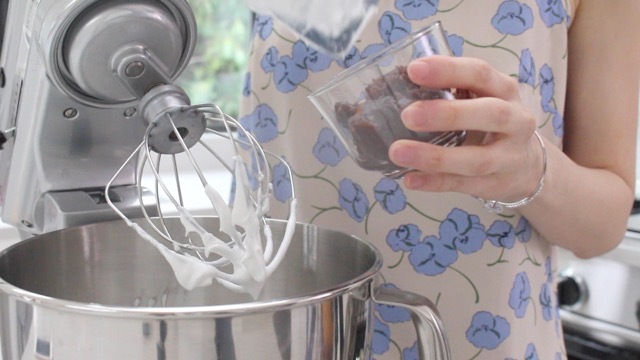 If your coconut milk sounds too liquid after refrigeration, it will not work in this recipe. 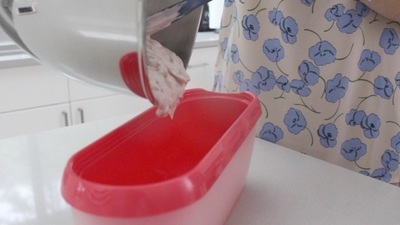 (B) Chill your red bean paste and if you are able to, your mixing bowl so everything stays cold while combining, making it easier to make the whipped cream. Ready in Total Time: 3 hr. 10 min. 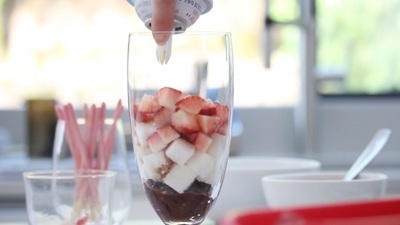 *Freeze the whipped cream mixture for at least 3 hours or until frozen to ice cream consistency. ​Defrost for 5 - 10 minutes before serving with an ice cream scoop.